St. Martin's Press, 9781250066824, 320pp. A murder that ties it all together. 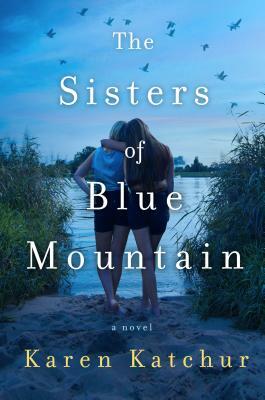 An emotional, suspenseful novel about the bond between sisters and the secrets we hold to keep our family safe, The Sisters of Blue Mountain by Karen Katchur is a thrilling mystery that hurtles towards an unexpected ending that will leave readers speechless. The small town of Mountain Springs, Pennsylvania thrives on the snow geese migration. Each year, the birds flock to the dam, and the tourists follow, filling up Linnet’s Bed and Breakfast. But one morning Linnet wakes up to discover hundreds of dead geese by the B&B and her life is thrown into the media frenzy when her father—a former ornithology professor—is asked to study the case. As the tourists cancel their plans and Linnet’s father’s health grows increasingly worse, the last thing she expects is to see her estranged sister, Myna, on her doorstep. Myna has never stayed in one place for long after running from Mountain Springs. Although she and Linnet were close growing up, a family secret broke their bond, and Myna’s return has brought back memories both sisters have tried to keep buried. Karen Katchur holds a Bachelor of Science degree in Criminal Justice from West Chester University and a Masters of Education degree from East Stroudsburg University. She lives in Eastern Pennsylvania with her husband and two children. She is the author of The Secrets of Lake Road.